Perfect for a wedding ceremony, private party, drinks reception or lounge/piano bar, they also cater for ceilidh. 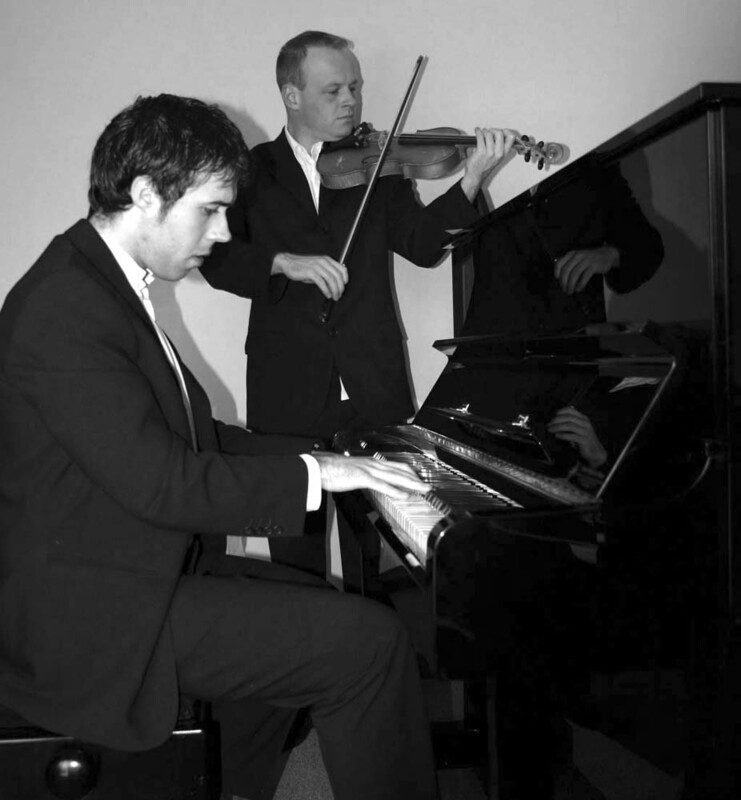 The Keystrings are a cocktail duo specialising in easy listening, light jazz and celtic music. Featuring Joe Hume on piano, saxophone and clarinet and Stephen Bull on violin, guitar and vocals, their musical versatility is astounding. With pleasing personalities and excellent sound equipment the Keystrings are committed to outstanding musical performance and customer service. If you require excellence in atmospheric ambient music or a lively celidh dance then look no further than The Keystrings.